Lately, an interesting trend can be noticed. More and more manufacturers of mobile devices start focusing on the touchscreen technology. The main reason for that is the convenient control options it offers. We shouldn’t forget that touching is one of the first human reflexes. From the earliest childhood days, the first think a human wants to do after seeing an object, is to touch it. “Unfortunately,” the majority of phone users have lived long enough and have developed other reflexes and habits, such as the necessity for a hardware keyboard for text input. In order to satisfy their needs, LG has designed the hybrid slider KF700, equipped with a 3.0” touchscreen and hidden hardware keys. The other heavily advertised feature is the “wheel” and the related shortcut menu, called shortcut dial. In combination with the touchscreen, controlling the device should be very easy. Unfortunately, there is no case, which could have been very useful for that type a phone – a real magnet for fingerprints and scratches. The unit used for this review is intended for the European carrier O2. This has resulted in the presence of a company logo icon on the homescreen and a link in the shortcut dial. 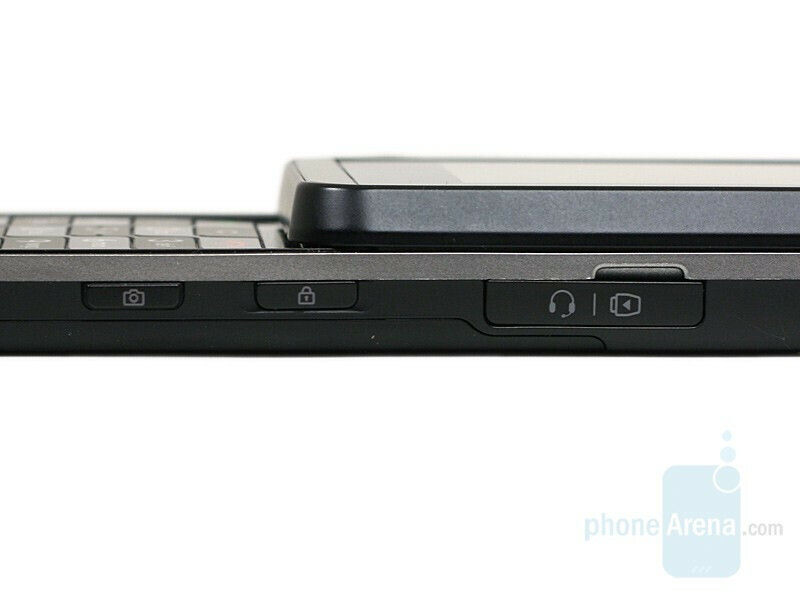 When the phone is closed it looks very much like its rival from Samsung, the F700. The main difference is that the display is 3.0” ( 0.2”smaller), and the very device is much more compact, but is still far from the new standards for a slim slider. However, KF700’s resolution is larger (240x480 VS. 240х432 in F700). It offers very good picture quality, with well-saturated colors and excellent touch sensitivity. Besides, since they react to touch by any object, you don’t have to use your fingers only (stylus not included). 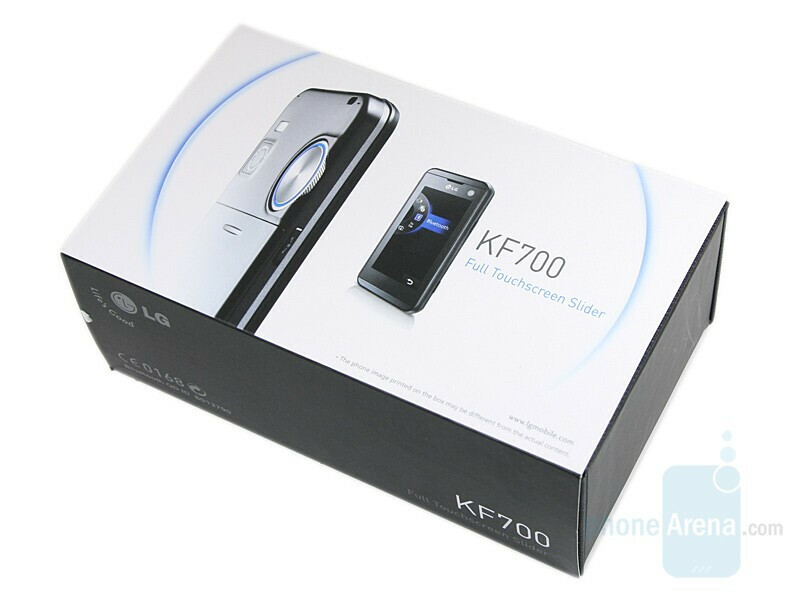 It’s a pity that KF700 has been infected by the mirror effect disease, affected most modern smartphones. That of course, makes it almost unusable in a direct sunlight. The upper slider is made out of metal and there are no buttons present on it. All of them have been saved for the part that is revealed once the slider is pushed up. That’s not a hard task, but it’s not a pleasant one either. The reason for that is the weak mechanism, which feels as if it wasn’t there, and the lack of elements (protruding ones for example) where to place your finger. 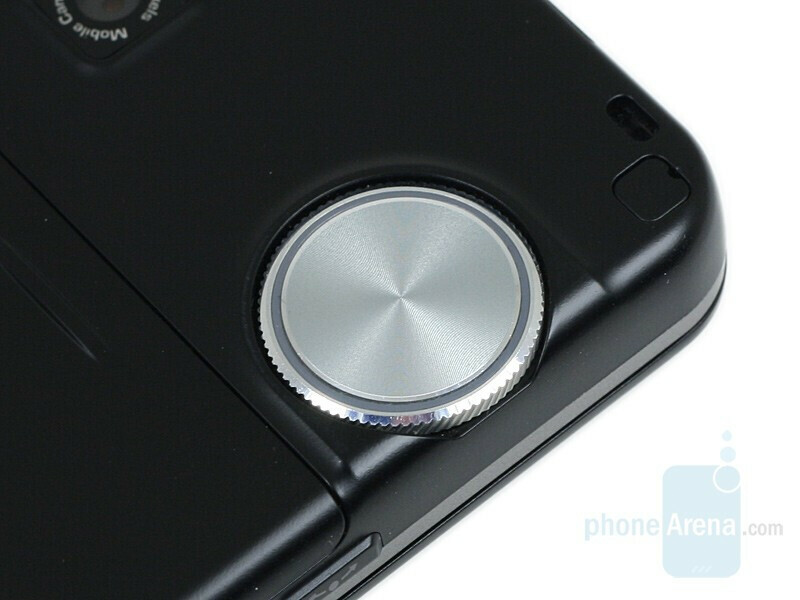 We are happy that once open, the phone is one of the most stable sliders. That`s where the similarities with the rival end. The keyboard is regular instead of QWERTY. 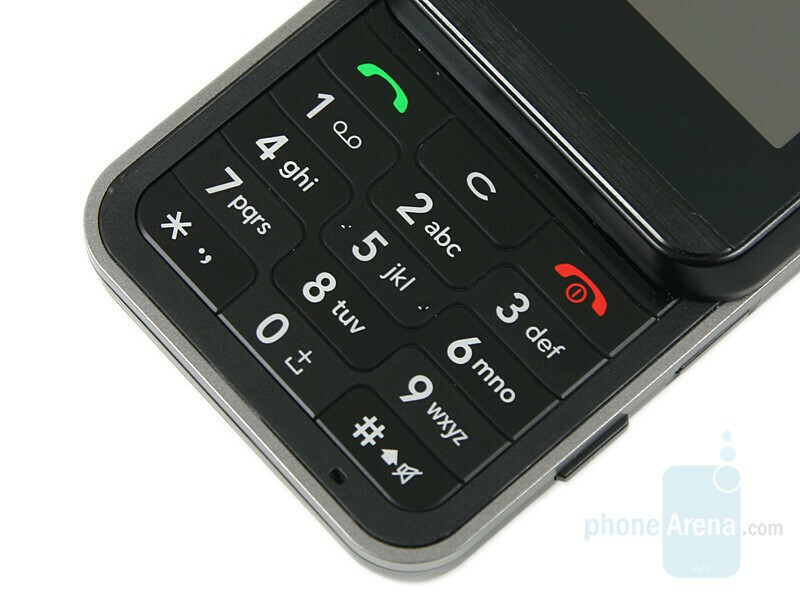 Besides the standard numeric buttons, you have the buttons for accepting, rejecting a call and the “clear” one. All of them are big and easy to press, but have no well expressed relief and you cannot recognize them just by touch. There are no functional buttons, since by using the touchscreen, you can enter the same commands. We are disappointed by the function of the rotating wheel, positioned on the left. It’s intended as a separate input method, but that is exaggerating big time. It can assist you if you use it for scrolling, but the fact that working with the screen (that’s the phone’s idea anyway) is more convenient, makes it pointless. Besides as a volume control, it can only be used to navigate through the shortcut menu, which is activated, by pressing the button next to it. 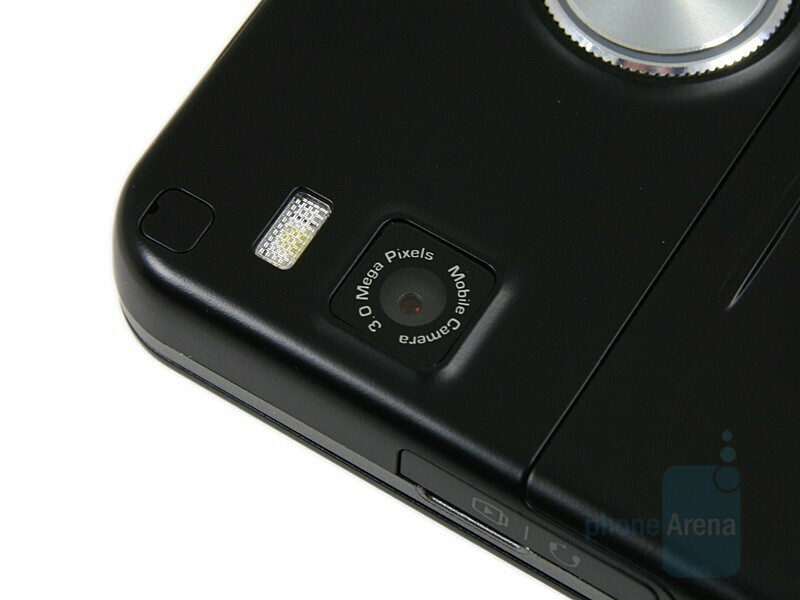 On the right, we have the camera button, which is very user-friendly, accompanied by the locking one. It acts both for both the keyboard and the display, but is too small and has no relief. 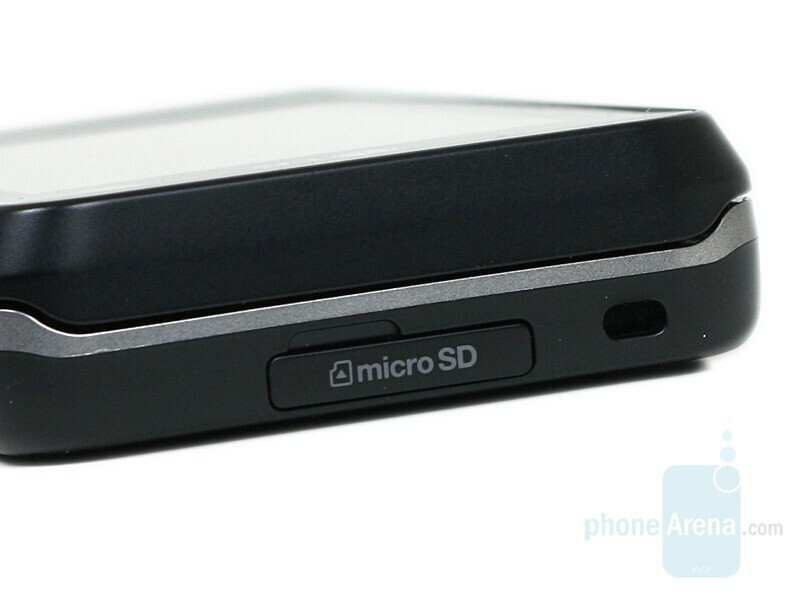 Here, we also have the charger/data cable/handsfree connector and on the top side is located the microSD slot. 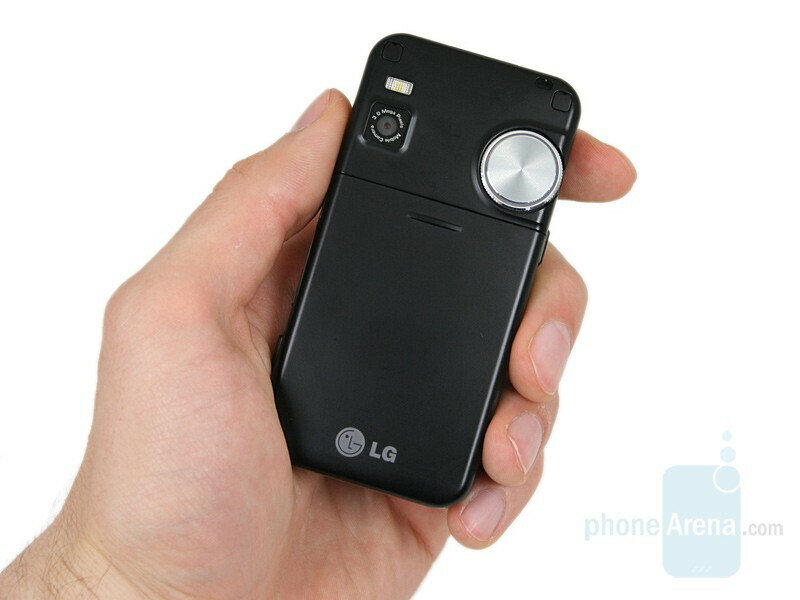 Looking at the back of the phone, we find the 3-megapixel camera with LED flash and the rotating wheel, which is pleasantly illuminated in blue when in use. Overall, KF700’s appearance is not what makes the phone attractive. 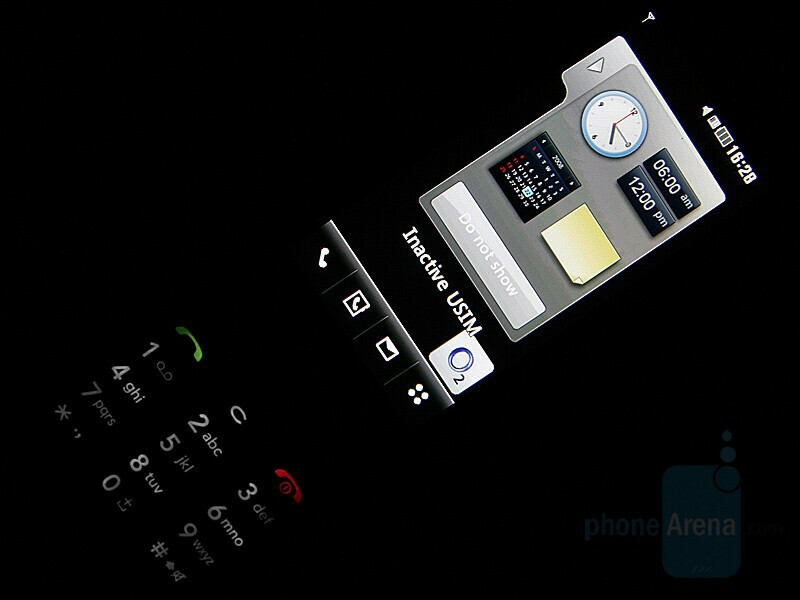 The only impressive thing is the large screen, and the design is extremely simplified. It’s good that as a whole, the phone is well built and it looks like it will last. I bought a KF 700 about one month ago. The monitor is extremely power demanding. I used the factory setting and talked a few calls, took a few photos with flash and listened about 1 hr mp3, it lasted less than one day and needed recharging! Secondly, it is easy to accidentally touch the screen when using a certain function. This will interrupt the function in use and change to other undesired function. Moreover, the monitor becomes dim very soon so as to save power. This means that one needs to touch it again and again from time to time in order to makes the monitor visible if he wants to continue to use it. The photos’ quality (3.2 M) is much worse than the ones taken using SE K750i which the camera’s pixels is 2M only! I missed my K750i very much. L Worst of all, it has only one short cut key(unless I don't know the others, if any). This makes using functions (e.g. 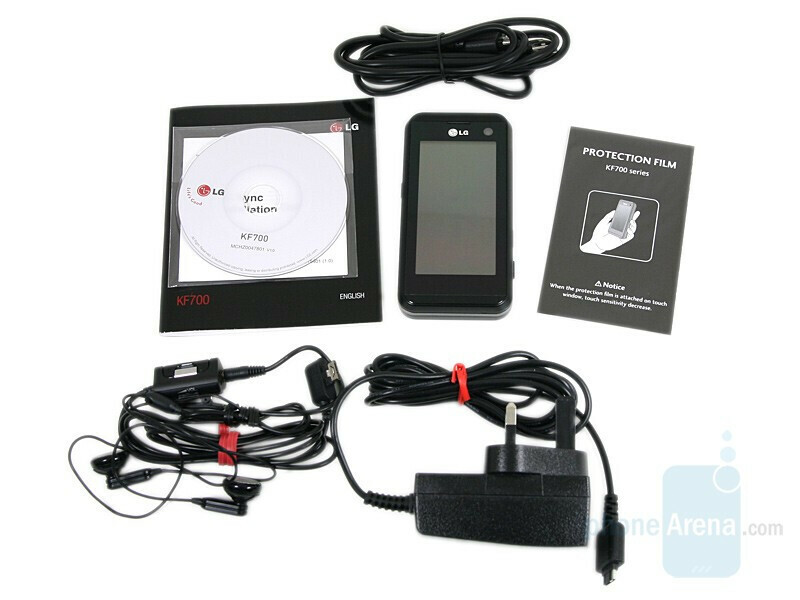 alarm/calendar) of the phone very troublesome and time consuming. I regret very much to have bought KF 700. 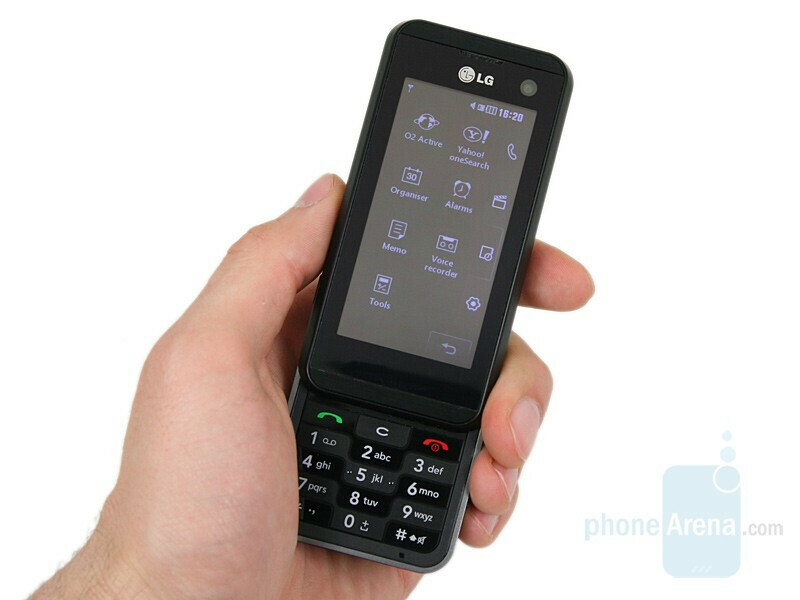 I shall sell it soon and will not buy LG phones in the near future.